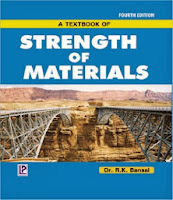 www.pdfstall.online: Mechanics of Materials (6th Edition), By "James M. Gere"
Mechanics of Materials (6th Edition), By "James M. Gere"
Mechanics of materials is a basic engineering subject that must be understood by anyone concerned with the strength and physical performance of structures, whether those structures are man-made or natural. The subject matter includes such fundamental concepts as stresses and strains, deformations and displacements, elasticity and inelasticity, strain energy, and load-carrying capacity. 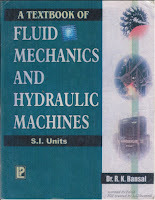 These concepts underlie the design and analysis of a huge variety of mechanical and structural systems. paragraph. Other topics of general interest are the transformations of stress and strain, combined loadings, stress concentrations, deflections of beams, and stability of columns. Specialized topics include the following: Thermal effects, dynamic loading, nonprismatic members, beams of two materials, shear centers, pressure vessels, discontinuity (singularity) functions, and statically indeterminate beams. For completeness and occasional reference, elementary topics such as shear forces, bending moments, centroids, and moments of inertia also are presented.